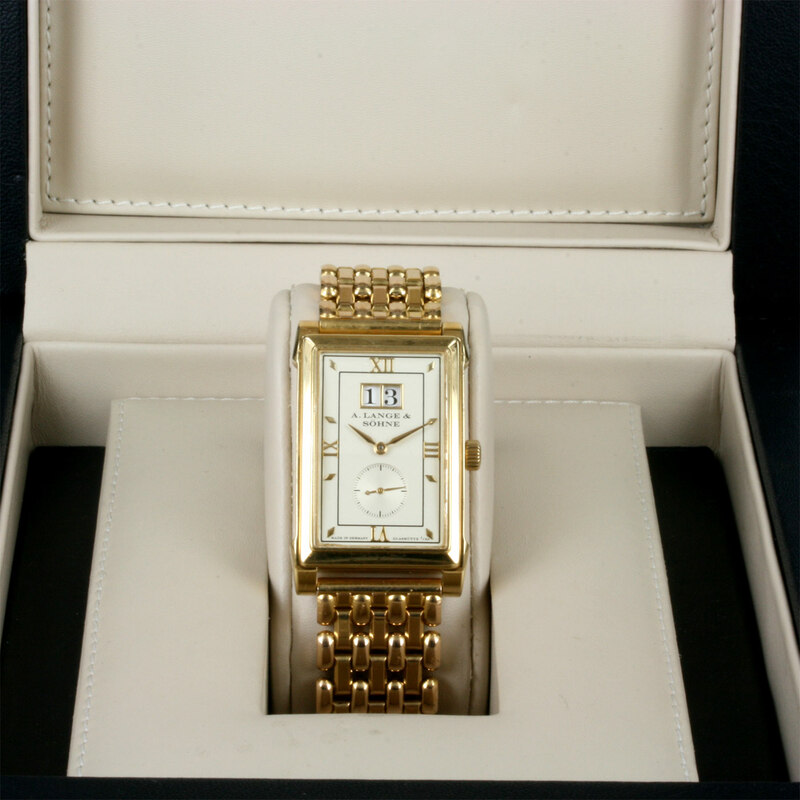 Product code: 1493 Categories: Sold Items, Sold Watches. 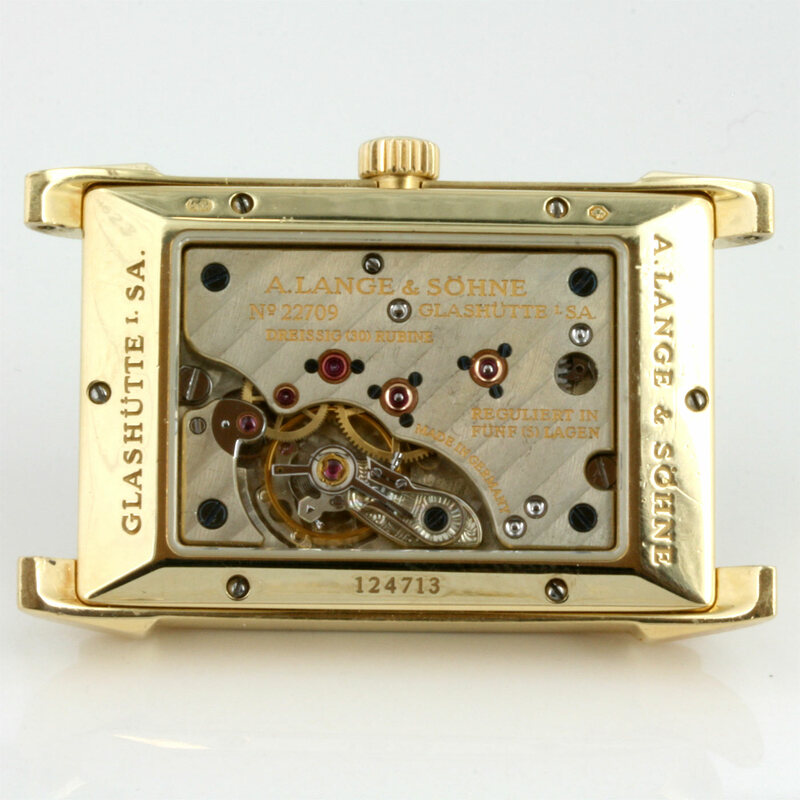 A.Lange & Sohne are without a doubt one of the finest watchmaking firms today, and this solid gold gents Cabaret wrist watch is a testament to the high quality watches that they produce. 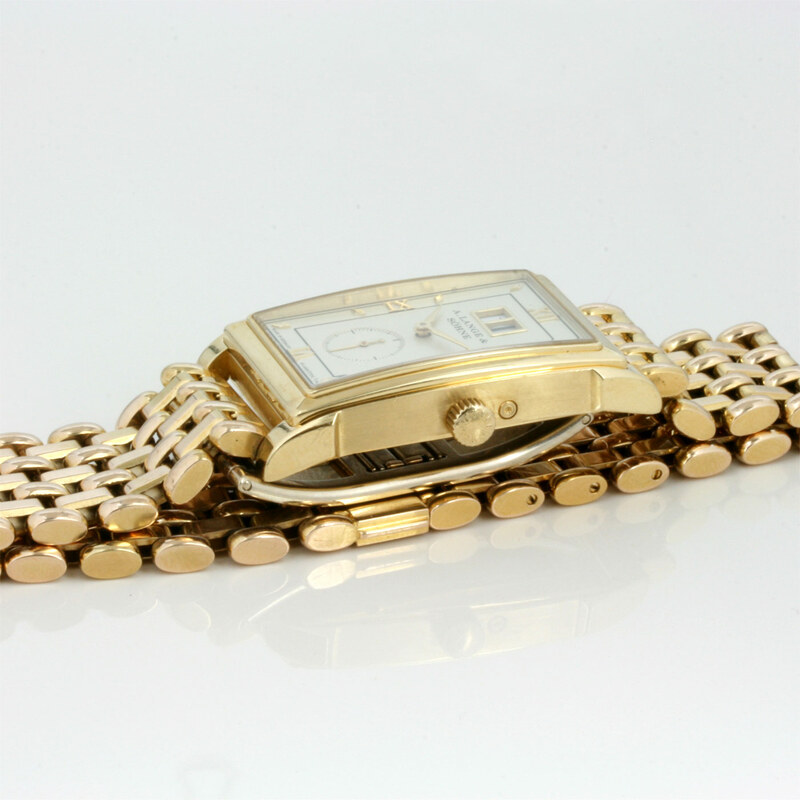 This one here is the solid 18ct yellow gold Cabaret model, with the 18ct gold band. The case measures 25.5mm x 36.3mm (plus the lugs) and sits so perfectly on the wrist. Inside is a magnificent 30 jewelled manual wind movement with quickset date, and a power reserve of 42 hours and adjusted to 5 positions. 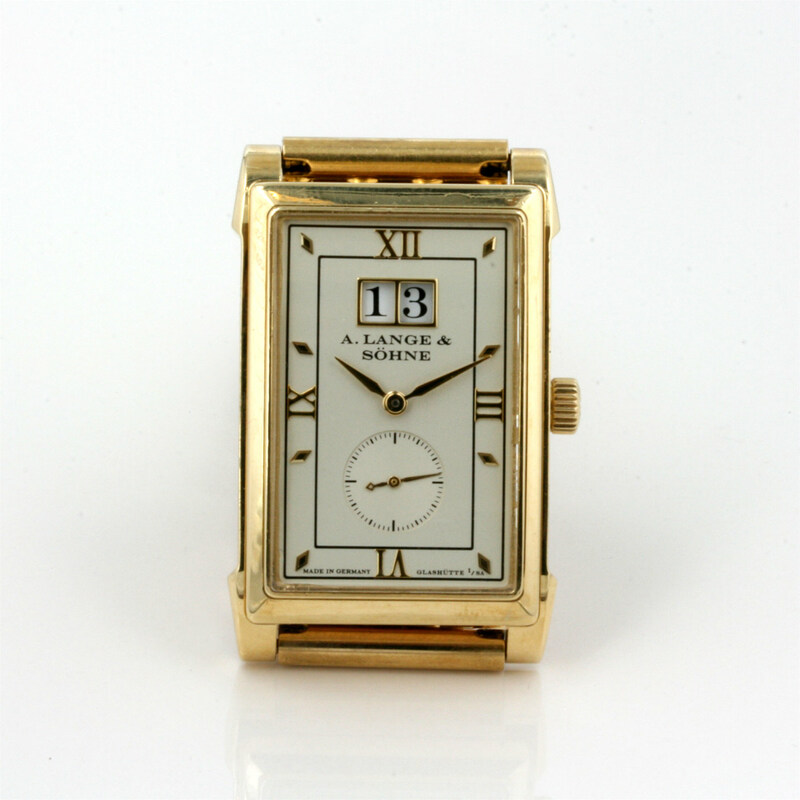 Finding a A.Lange & Sohne watch in Australia is a real find, and to find this model with the solid gold band is a real treasure, and complete with box and papers, this is one elegant and stylish watch for any watch connoisseur.